Introducing Harry Houdin—one of the most versatile performers you've never heard of. Born decades before the great Harry Houdini, he claimed to be the nephew of Jean Eugène Robert-Houdin, the famous French conjurer of the 19th century. Houdin, who billed himself as "The Great Polynational Mimic," toured Australia and New Zealand between 1860 and 1863 with a one-man act featuring drawing-room magic and international impersonations done to song and dance. 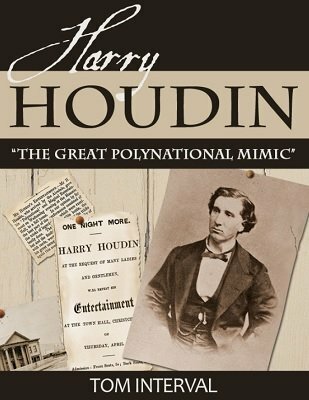 Harry Houdin: The Great Polynational Mimic is the first formal work of research written about this virtually unknown, albeit colorful, entertainer. 1st edition 2013, 27 pages.